Wednesday, November 2nd, 2016 at 10:29am. Taking place November 3rd through the 7th, will be a exposition complete with the world’s most impressive super yachts, mega yachts, sport fishing boats, center consoles jet skis, personal water crafts, exotic cars and the list goes on. 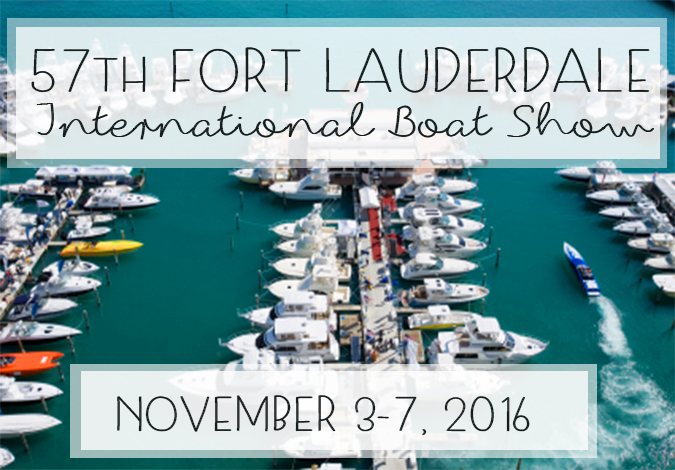 For boat enthusiasts, the 57th Fort Lauderdale International Boat Show is the place to be!